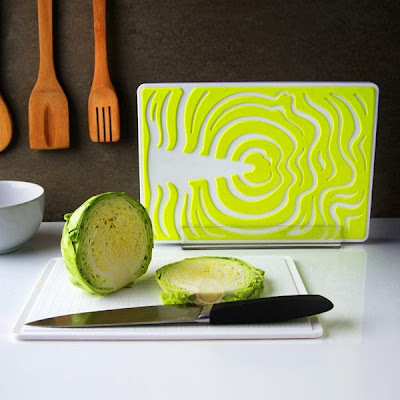 Collection of 'Clever Cutting Boards and Innovative Cutting Board Designs' for your kitchen from all over the world. 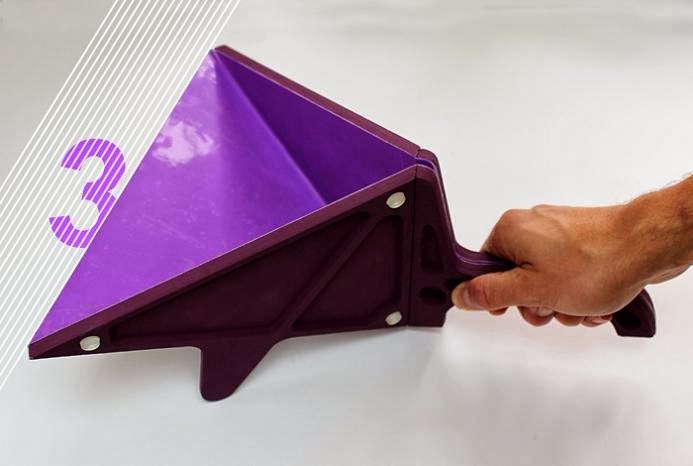 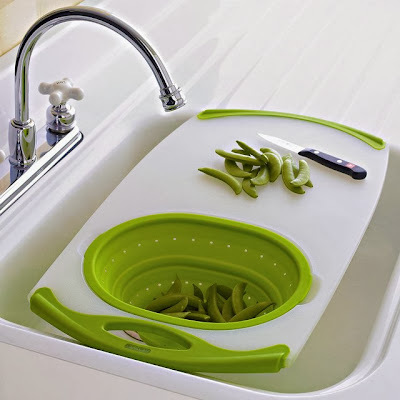 Onehand Kitchen Equipment: The Onehand Kitchen Equipment is designed to be used with ease; it consists of 7 products in all. 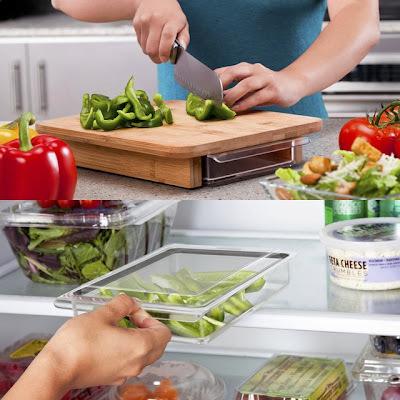 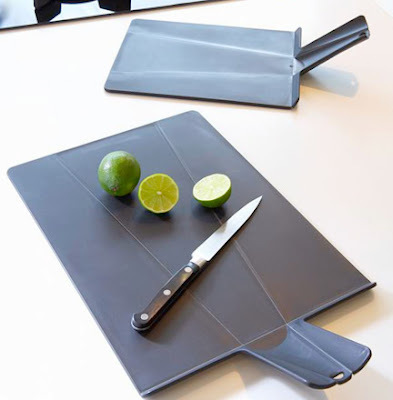 Chopping Board: Upon pressing the holder, the board folds into a chute and the food can be transferred straight off the board into the cooking utensil. 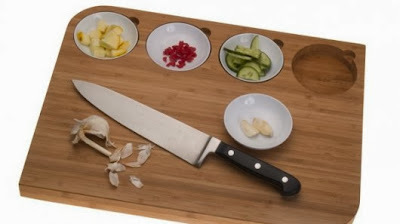 Chop Chopping Board: The routed sides of this bamboo cutting board will enable you to push a plate or bowl up against the board so food can swiftly be moved. Bowlboard: It features four inlaid bowls, and lets you prepare food quickly and easily. 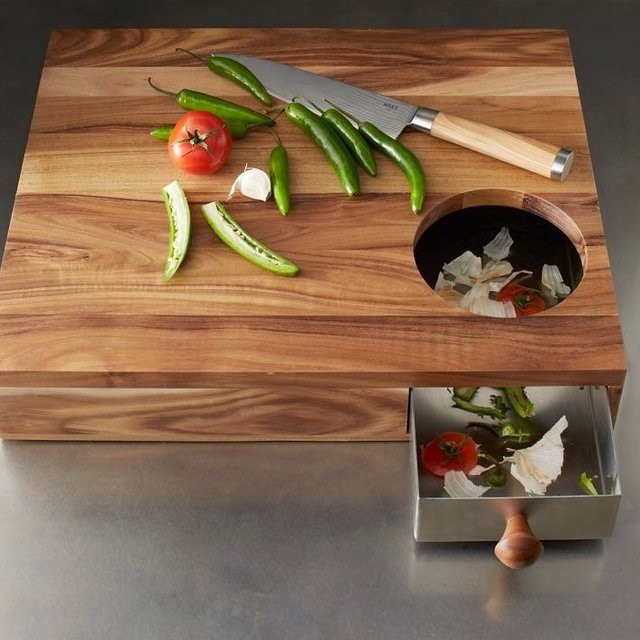 Storage Cutting Board: This solid acacia wood Storage Cutting Board comes with a hole in one corner where you can sweep trimmings, peelings and other stuff into a hidden container while you work. 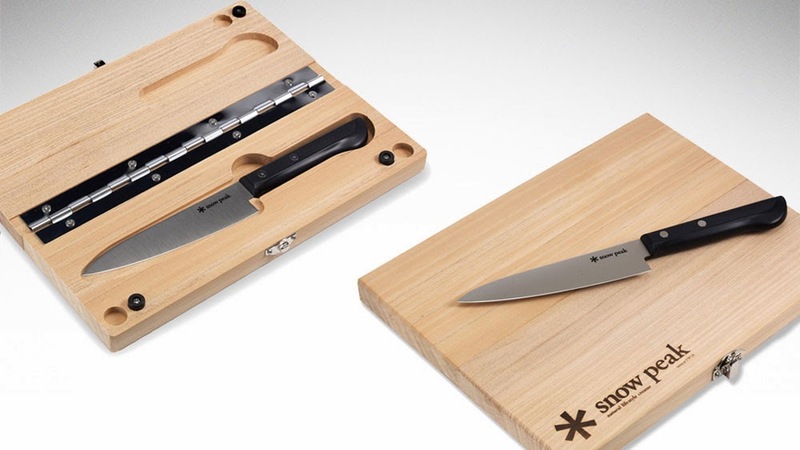 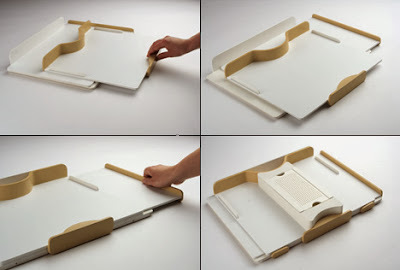 Folding Cutting Board: The folding cutting board folds down the middle while holding a stainless steel knife. 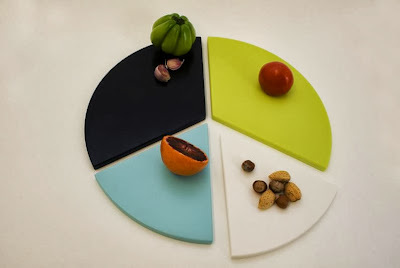 Slice Chopping Board: The slice chopping board doubles as serving platter that can be divided into 4 self aligning pieces. 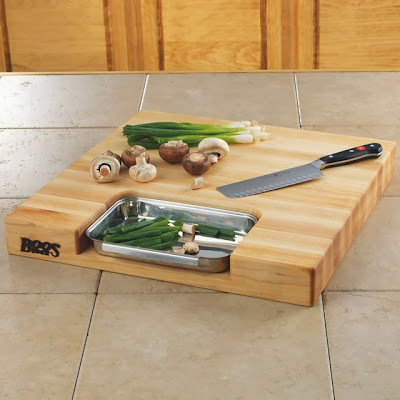 Wooden Cutting Board with Storage: This cutting boards features a storage drawer in the base. 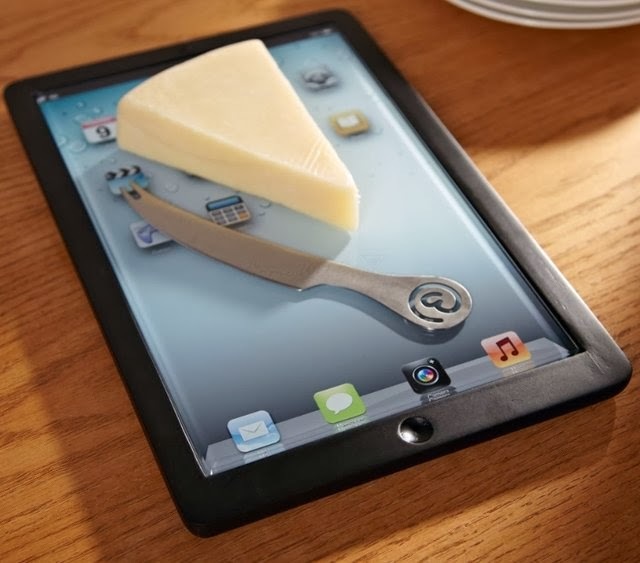 Glass Cutting Board: This cutting board is made from tempered glass and features a printed "apps" design. 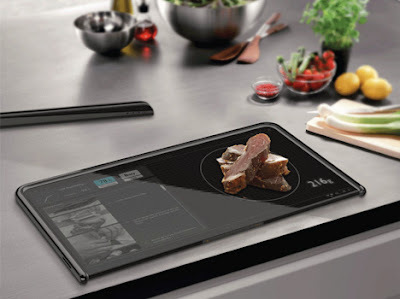 Dual-Sided Digital Cutting Board: This conceptual cutting board puts your recipes and pictures of the food you are preparing next to the ingredients as you slice and dice them. It also doubles up as weighing scale too. Boardbowl: This cutting board concept turns into a bowl when you press the two handles together. 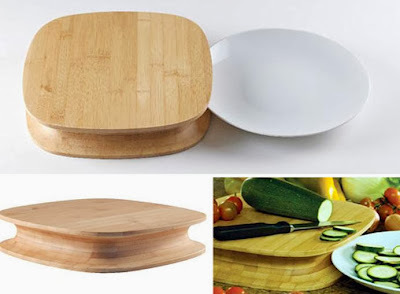 Don't miss to check out "Clever Cutting Boards and Innovative Cutting Board Designs - Part: 1| 2| 3| 4."